Due to our proficiency of this industry, our entity is betrothed in rendering Turnkey Civil Contracting Services. These services are accomplished by industry certified experts, who have affluent understanding of this realm. After completing these services, professionals also check our service on varied industry parameters to attain the customer’s approval. We provide complete Turnkey contracting solutions including the Civil & MEP work. We help you 'procure & construct' the facility in a state ready ready for operation and to a standard which meets pre-set performance specifications. We at ITV provide Mechanical, electrical, and piping services (MEP) which is a significant component of the Plant construction. MEP design is critical for design decision-making, accurate documentation, performance and cost-estimating, construction planning, managing and operating the resulting facility. 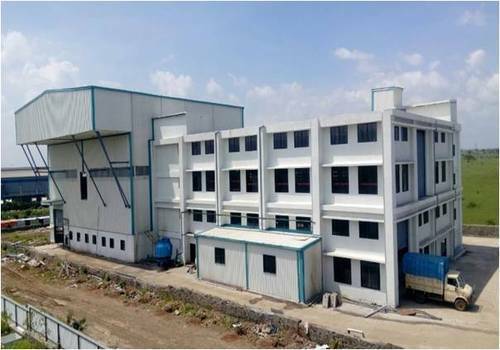 Incepted in the year 2016, Icon Turnkey Ventures LLP is listed amongst the trusted fabricators of an optimum quality array of Pre Engineered Building and PEB Column. To manufacture the offered products in conformity with the predefined industry standards, our diligent professionals use the optimum quality raw materials and modern machines. Owing to their sturdy construction, longer working life, low maintenance, compact design and corrosion resistance, the provided range is widely demanded and acclaimed in the market. Moreover, offered products can also be customized in line with the details provided by our esteemed clients. Our clients can avail these products from us at most competitive prices. we are also offering Shed Fabrication Work, Engineering Design Services, Agriculture Engineering Service, Warehouse and Logistics Service, Turnkey Civil Contracting Service and Plant Layout and Process Improvement Services.